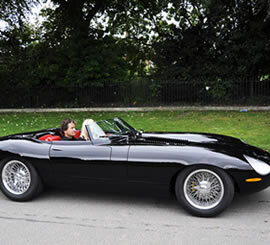 Q: Is North West Classic Car Storage a professional company? A: We are a family-run business with in excess of twenty-five years' experience in the automotive industry. This includes providing secure performance and classic car storage facilities, vehicle repair and maintenance, sympathetic and carefully applied restorations, retrims and limousines and wedding car hire. We meet and serve customers from a variety of backgrounds and dedicate ourselves to providing a service that not only meets but exceeds their expectations. We believe our rates are competitive without compromising on quality. Q: Can you collect my car and return it to me afterwards? A: We do provide a fully insured transportation service, with care and consideration to your property as our top priority. Rates depend on collection/delivery location and preference of an open or covered trailer. Please contact us directly for further information and we will be happy to assist. A: We ask clients to pay on a monthly basis by Standing Order where possible. Alternative payment methods are welcome but suplementary charges may apply on occasions. If you are an overseas client please contact us directly for further information, and we will reply promptly. Q: What kind of vehicles do you store? A: North West Classic Car Storage have the facilities and experience to store classic and performance cars of all vintages. Cherished motorbikes and smaller trucks can also be stored depending on availability of suitable floor space (please contact us for more information). Q: Am I able to work on my car while in storage? 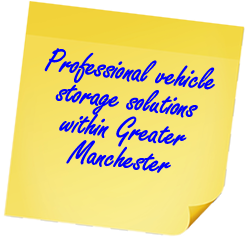 A: As many client vehicles are stored securely on our site North West Classic Car Storage do not permit any kind of maintenance within our facility. Clients are welcome to remove their vehicle(s) from site and return after any maintenance or repair work is completed by the client or a third party. Q: What are the minimum and maximum storage terms available? A: Clients can store vehicles with us for a minimum of one calendar month (vehicles can be removed sooner though a minimum one month charge will apply). There is no maximum storage period. Fixed term storage plans begin at a six month period. We require a one month notice period if a client wishes to terminate the storage plan earlier. A:Yes, we are fully insured by one of the country's most well-known insurance providers. Q: How often can I access my vehicle? And what is the process for attending your facilities? A:All vehicles can be accessed by prior appointment. Q: What is the cheapest plan you offer? A: Our storage rates are £100 plus VAT per calendar month for one vehicle. Clients can take advantage of preferential rates when storing multiple vehicles with us. A: For the avoidance of doubt all rates are clearly priced. Any vehicle care services provided by us will be quoted separately. Q: My vehicle requires a service/retrim/overhaul/repair. What other services do you provide? A: All of the above services are available from us delivered by experienced mechanics and technicians. Please contact us directly if you have any further questions.